Samsung has finally announced its much awaited flagship phones Galaxy S9 and Galaxy S9+ at MWC 2018 in Barcelona. The most notable feature of new phones is the variable aperture cameras. 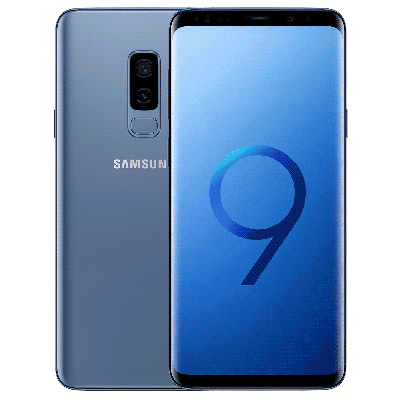 Samsung Galaxy S9 comes with 5.8-inch Quad HD+ Super AMOLED Infinity display and the Galaxy S9+ comes with 6.2-inch Quad HD+ Super AMOLED Infinity display. Both phones. Got Corning Gorilla Glass 5 protection. These smartphones pack Octa-Core Samsung Exynos 9 Series 9810 processor with Mali G72MP18 GPU or Octa-Core Qualcomm Snapdragon 845 with Adreno 630 GPU depending on the market. The Galaxy S9 comes with 4GB LPDDR4x RAM with and 64GB, 128GB or 256GB storage options. The S9+ comes with 6GB LPDDR4x RAM with 64GB, 128GB or 256GB storage options. The Galaxy S9 comes with 12 megapixels Dual Pixel rear camera with LED flash. The camera has f/2.4-f/1.5 variable aperture and supports 480fps super slo-mo. The Galaxy S9+ has dual camera with 12 MP camera sensor with f/2.4-f/1.5 variable aperture and 12 megapixels secondary camera sensor with f/2.4 aperture. Both Galaxy S9 and Galaxy S9 Plus comes with 8 megapixel front camera with wide-angle lens and f/1.7 aperture. Both Galaxy S9 and Galaxy S9 are IP68 rated for Water and dust resistance. There is also Stereo speakers tuned by AKG and Dolby Atmos sound. The company claims that it has added loudest speakers in a Galaxy smartphone till date. The phone also has AR Emoji, similar to Apple iPhone X’s animoji. It also uses machine learning to analyse and map more than 100 facial features to create a 3D model offering close to real expressions. You can also export AR Emoji to video or stockers and share on any messaging platform. Connectivity features include 4G VoLTE, Wi-Fi 802.11ac (2.4/5GHz), VHT80 MU-MIMO, Bluetooth 5, GPS with GLONASS, USB 3.1, NFC and MST. The Galaxy S9 packs 3000mAh battery and Galaxy S9 Plus packs 3500 mAh battery. Both the phones support fast Charging both on wired and wireless (WPC and PMA) charging. You can Pre-book S9/S9+ by giving 2,000 advance amount……. modern era using the incredible features baked into it.